If you’re looking to treat your loved one with the best custom made jewelry gift this Valentine’s Day, come to L.A. and find custom Valentine’s day diamond jewelry at the Los Angeles Jewelry District. 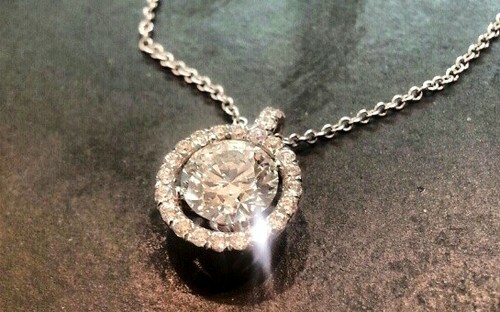 Whether you are looking to surprise your valentine with a custom made engagement ring, treat your spouse to a pair of beautiful diamond earrings, or find the perfect heart-shaped pendant your mother always wanted, Capri Jewelry Inc is here to provide nothing but the best certified diamonds and high-quality service every one of our customers deserves. You can ask celebrities and non-celebrities alike where to find the best custom made jewelry in the LA Jewelry District, and they’ll all point to Capri Jewelry Inc (CJI). Don’t believe me? Just ask Shaq, the Man of Steel himself, or Dwayne Wade, Usher, Danny Trejo, and countless other clients what they think of Capri Jewelry Inc, and in no time you’ll be taking a trip to downtown L.A. on the lookout for the best Valentine’s Day jewelry gift your loved one has ever gotten. Once you arrive, we will help you find just what you are looking for. Although the wide selection of custom made jewelry – which includes diamond earrings, bracelets, pendants, wedding rings, engagement rings, and various other jewelry products – are enough to keep you intrigued for hours, CJI always offers customers the option to custom design their own piece if they are looking for something still more unique and meaningful. With some teamwork and an understanding of what the vision for the custom jewelry piece is, you and CJI can craft the most unique, thoughtful, creative, and personal jewelry piece your loved one has ever gotten. Whether your loved one is a fan of owning celebrity replica jewelry or custom made jewelry, you can be sure to find exactly what you’re looking for at Capri Jewelry Inc. It’s not uncommon that a customer will want an engagement ring that resembles that of Hollywood stars’ or a wedding ring that is an exact replica of one belonging to a huge celebrity. As a result, CJI makes sure to provide you with whatever it is you’re looking for in a ring, necklace, bracelet, etc. What most customers prefer is attaining that unique value and meaning that only comes from designing and creating a custom jewelry piece from scratch and molding it to fit the tastes and preferences of your loved one. CJI takes custom jewelry design very seriously and it’s plain to see just by looking at their fine work. When it comes to custom designing jewelry, you can be sure to find only the highest-grade products at Capri Jewelry Inc. All of its products are designed and crafted by highly experienced and esteemed jewelers who put 100% of their expert care and attention into every piece of jewelry. 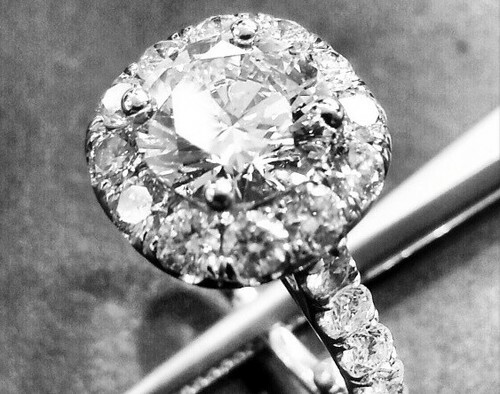 Often times, customers are looking for high quality, affordable jewelry that has meaning, uniqueness, and exquisite features that showcase the time and fine craftsmanship that went into the work; as a result, CJI provides them with the highest quality, certified diamonds the L.A. Diamond District has to offer. 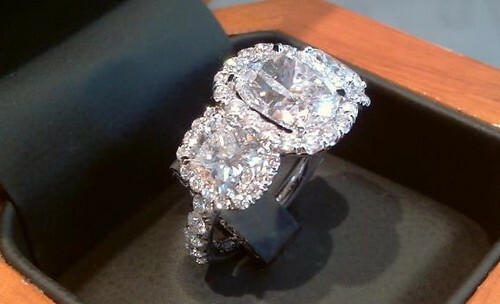 At CJI, every customer gets exactly what they envisioned and wanted in their custom jewelry piece. As you can see from the images displayed throughout, these works by Capri Jewelry Inc are fine examples that showcase the exquisite, intricate detail, quality and care put into every piece of jewelry. They are not cookie-cutter jewelry pieces that are pressed out by the dozens, rather, they are finely crafted individual pieces of art that have been designed specifically to stand out and shine in elegance and class. Why pay inflated, marked-up prices for a designer “brand name” product, when you can let Capri Jewelry Inc design and craft the most unique and personal custom jewelry gift your loved one has ever received? The difference between these products won’t be readily visible, but from a financial aspect, you’ll be thrilled to that your Capri Jewelry Inc purchase did not cost you an arm and a leg. 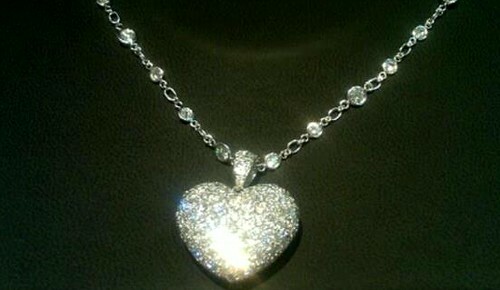 It’s always important to remember that Capri Jewelry Inc Valentine’s Day gifts are not about diamond size, carat weight, or price tag, but rather they are symbolic pieces of fine material that represent the unique value, love, or happiness someone has for another. In the same way, Valentine’s Day is not just about the gifts, expensive dinners, or red roses, rather, it’s about the love and joy that people share and have for one another. So look forward to checking out some high quality, affordable jewelry this week and don’t miss out on what Capri Jewelry Inc has in store for you and your loved one this Valentine’s Day. Stop by the LA Jewelry District and check out the wide selection of custom made jewelry that appeals to all tastes and preferences. Treat your Valentine with a gift that is as unique as her and says “I love you” like nothing else does.